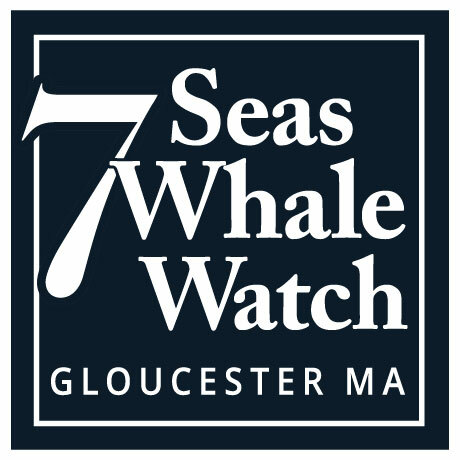 7 Seas Whale Watch, in partnership with Ocean Alliance, is currently looking for interns and volunteers for the upcoming season. 7 Seas Whale Watch has been operating whale watching tours since 1983. We conduct 3.5-4 hour tours of Stellwagen Bank National Marine Sanctuary, bringing up to 150 people at a time to visit with and learn about the whales, pelagic birds, seals, fish, and other marine wildlife, as well as the ecology of the region. Our vessel is the PRIVATEER IV, a 108ʼ aluminum-hulled Gulfcraft that carries up to 150 passengers. Our passengers vary greatly in age, ethnicity, social class, and education level, thus being able to work with and communicate effectively with a great diversity of people is essential to this internship. Over the 32+ years that 7 Seas has been in operation, our naturalist team has developed a wide variety of onboard enrichment activities and educational materials, each of which were designed to engage, educate, and enhance our passengerʼs whale watching experience. From actual whale artifacts (baleen, teeth, bones, etc) to fluke matching games, animations on digital media, conducting plankton tows with specially designed nets, and more, we have many different ways help our passengers learn more about and feel a deeper connection to the marine environment and the wildlife that lives there. In addition to our educational goals and activities, 7 Seas also participates in the research being conducted on the whales that frequent our coast each year. Collecting data on the whales (Humpback Whales in particular) as well as other marine wildlife in the region is another primary responsibility of this internship. The data we collect is shared with a number of the most well-established research organizations throughout the New England area. Participation in the research effort is critical to being able to more fully understand the whales, their habitat, and how best to ensure that we can adequately conserve it in the future. As an intern with 7 Seas Whale Watch your responsibilities are many. Primarily your responsibilities will include helping with our onboard education programs (so good people skills are a must! ), recording behavioral and other data on the whales we see, photographing whales (camera and other photographic equipment provided by 7 Seas), helping the naturalist to identify individual whales in the field, as well as helping with “shipʼs duty” meaning helping the crew ready the boat for departure as well as helping to clean the vessel after the trip. 7 Seas works in partnership with Ocean Alliance, one of the foremost conservation organization in the world which also happens to be based right here in Gloucester, and 7 Seas interns wishing to further expand/broaden their internship will have the opportunity to work at Ocean Alliance also where you may get to participate in their robotics lab working with drones, underwater listening devices, and more. Applications should be received by April 1st. Upon receipt of your application it will be reviewed, and then we will set up an interview which would preferably be done in person, however special arraignments can be made if an in-person meeting is not possible.